Another non-routine week this week due to testing, but we're finished! Yahoo!! Reading- We just finished our read a loud this week, 39 Clues, and started a new read aloud, Wild Robot. Math- We just finished up Unit 6 and will be taking a Unit 6 test on Monday. E4Tech- Next week we will finish up our last E4Tech lesson before we work with the robots!! :) I'd like to set up something where you can come in and see them in action, but I'm not sure yet when the robots will be delivered. I'll let you know as soon as I find out! Science- Next week we will begin learning about and studying live meal worms. The last Scholastic Book Order of the year went home today. This would be a great time to order books for your child to read this summer. If you have any questions, let me know! Robots, smart homes, magnetic slime and more! Invent the Future Today in Camp Invention’s new program, Fast Forward! 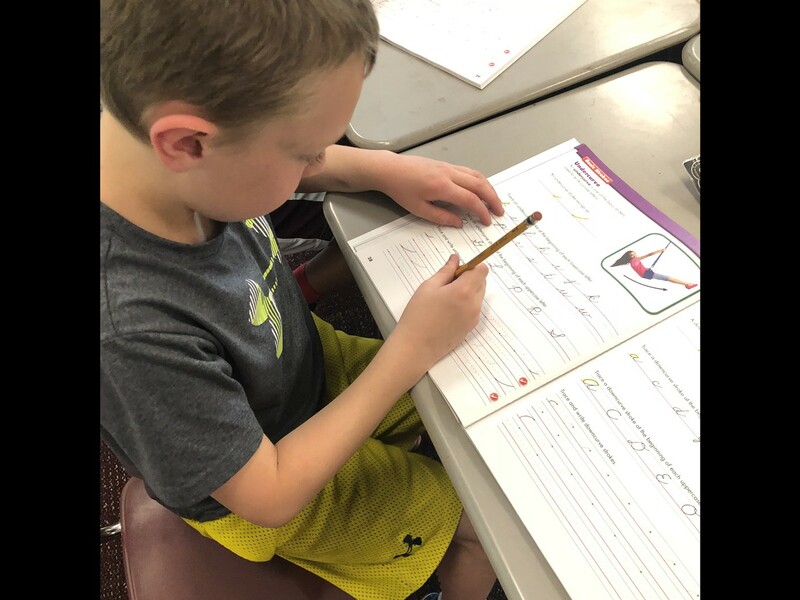 We’re lucky enough to be hosting the program at New Albany Primary School during the week of June 4th – June 8th for students entering grades K-6. Sign up by visiting www.campinvention.org or calling 800.968.4332. A $15 discount to camp ends Friday May 4th! Students were excited to begin learning cursive this week! 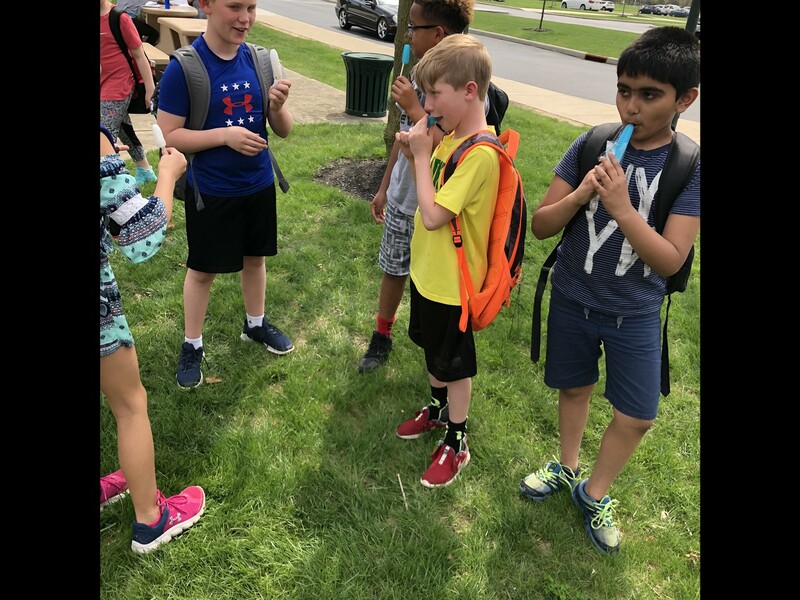 Enjoying a sweet treat when testing was over. 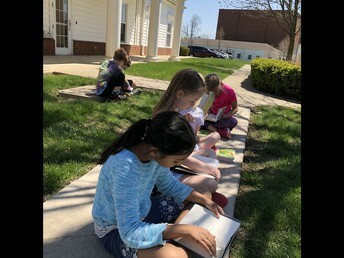 After what seemed like a year long winter, we were able to enjoy some reading outside.